Twinkling and sparkling as it is bathed in its own light, this wonderful wall light design adds a luxe finish to any home environment. The candle-style bulb is partially concealed by a translucent White Organza shade, trimmed with sultry dark grey. Glittering orbs of crystal fall beneath, perfectly placed to reflect the light beautifully. 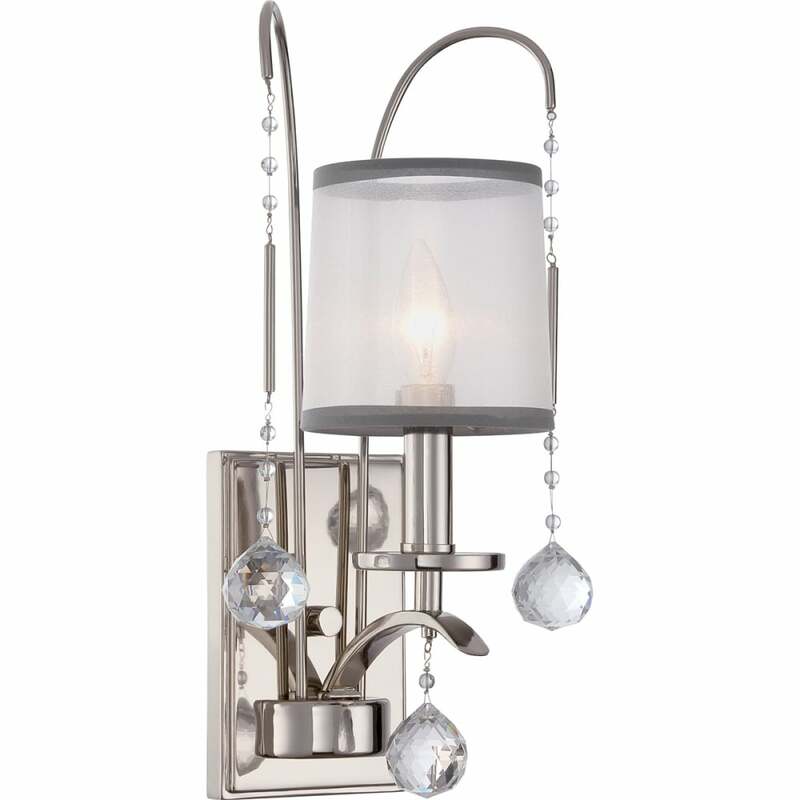 Matching chandelier and semi-flush designs are available. View All Quoizel for more information on Whitney or view the complete Whitney Collection.